A skyscraper of the future containing swamps, mountains, glaciers and a jungle has been named the winner of eVolo’s 2015 Skyscraper Competition. Named Essence Skyscraper, the proposal by Polish architectural designers collectively known as BOMP, this project is an urban mega-structure that contains diverse natural habitats. 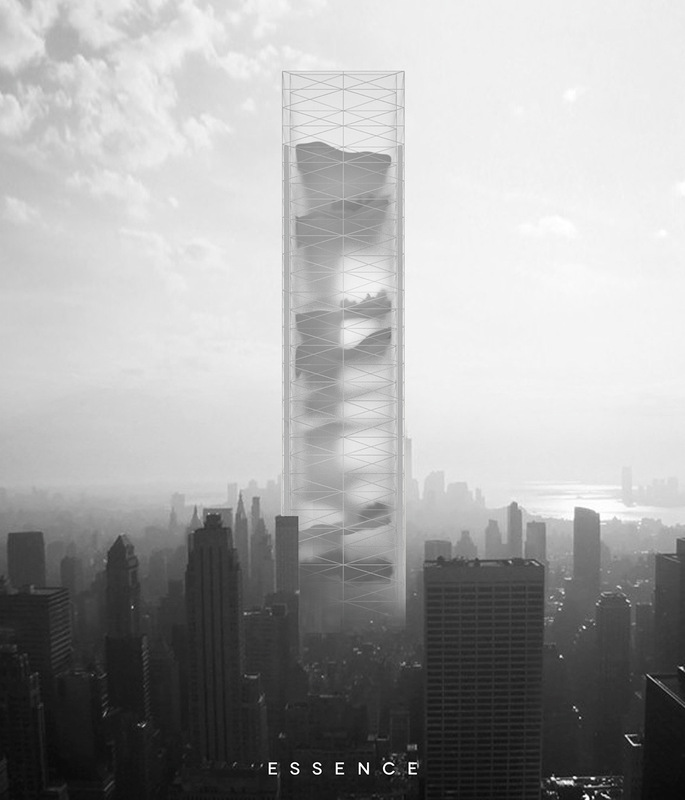 The skyscraper would serve as a place to briefly escape urban life and stimulate diverse and complex experiences.